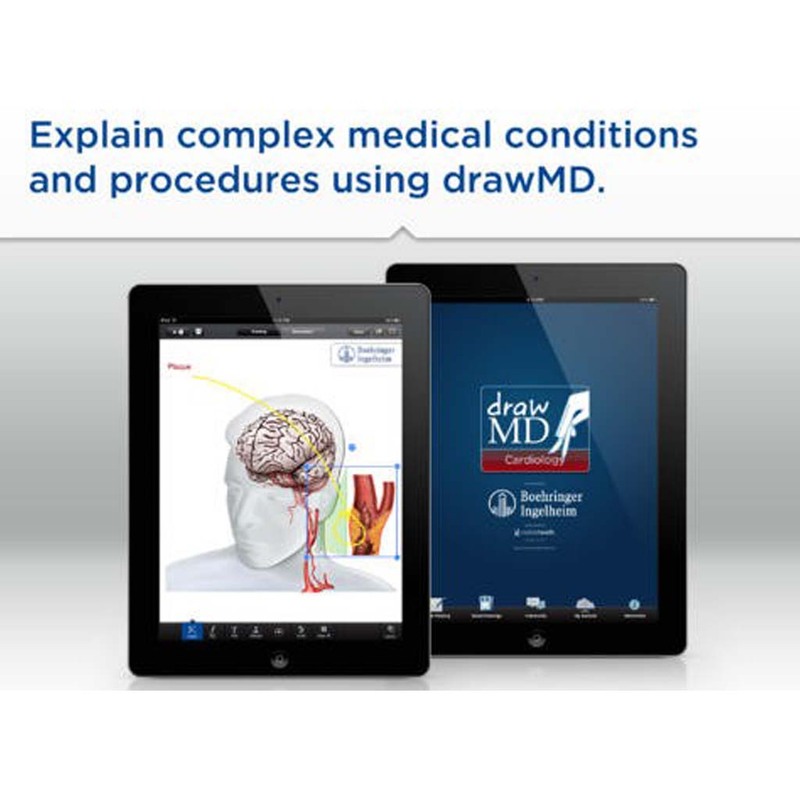 drawMD was pioneered by two doctors in the US Todd Morgan, M.D Associate Professor and Alexander Kutikov, MD, FACS, whose ambition was to add a new dimension to doctor to patient communications through the use of an app and medical illustrations. 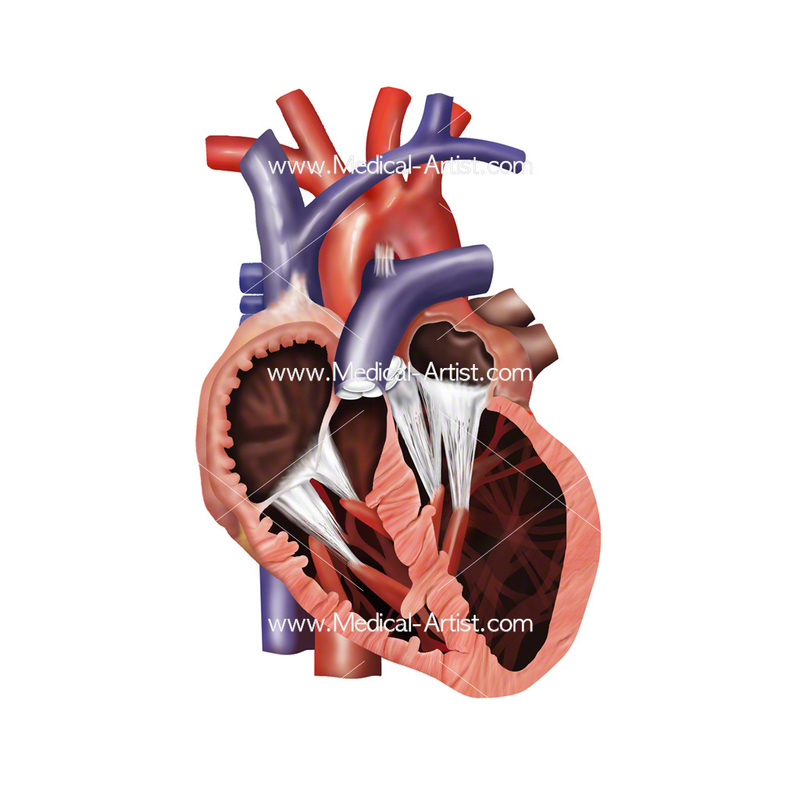 We were commissioned to create the medical illustrations for the range of apps each based on individual medical areas and this one is covering cardiology and cardiovascular disease. 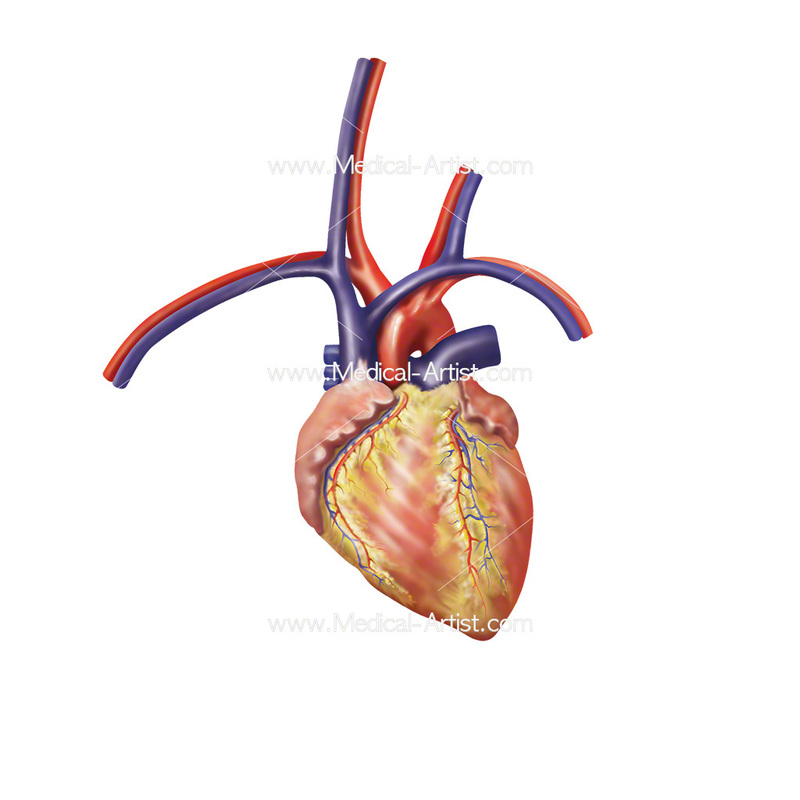 Because cardiovascular disease is one of the leading causes of morbidity and mortality its therefore a subject often discussed between patients and their doctors. 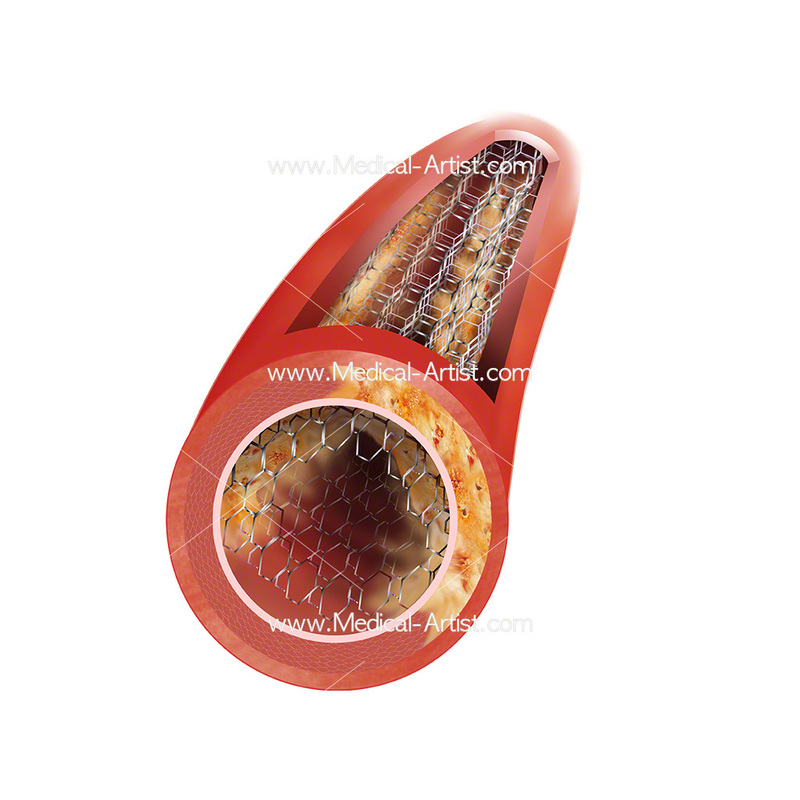 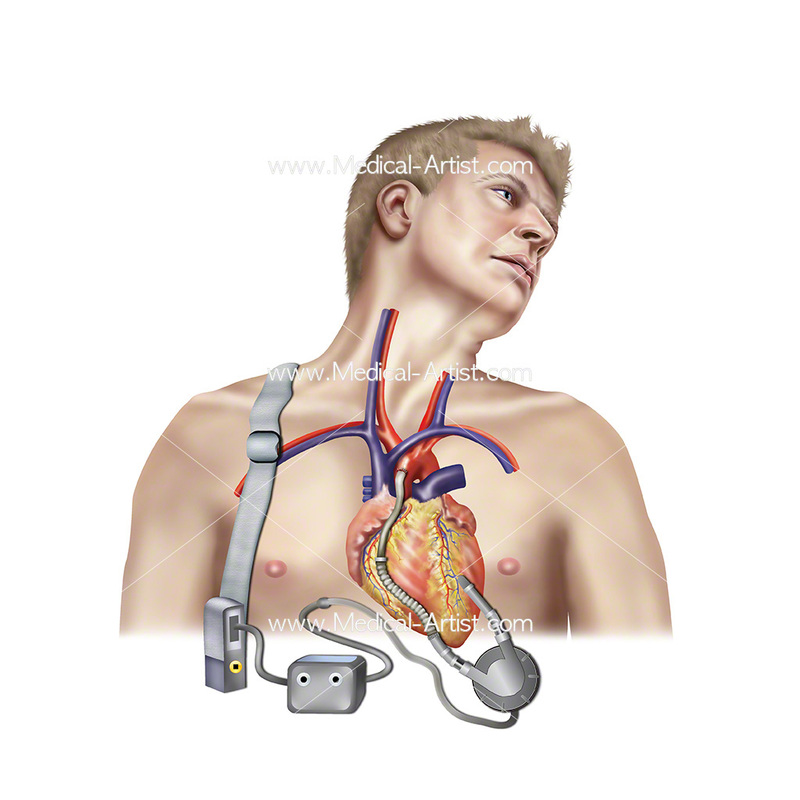 This may be primary prevention of atherosclerotic vascular disease in clinic or how intervention is needed such as an LVAD, a mechanical pump that is implanted inside a patient’s chest to help a weakened heart pump blood, where clinicians across many specialties will find themselves discussing cardiac disease and its treatments with their patients. 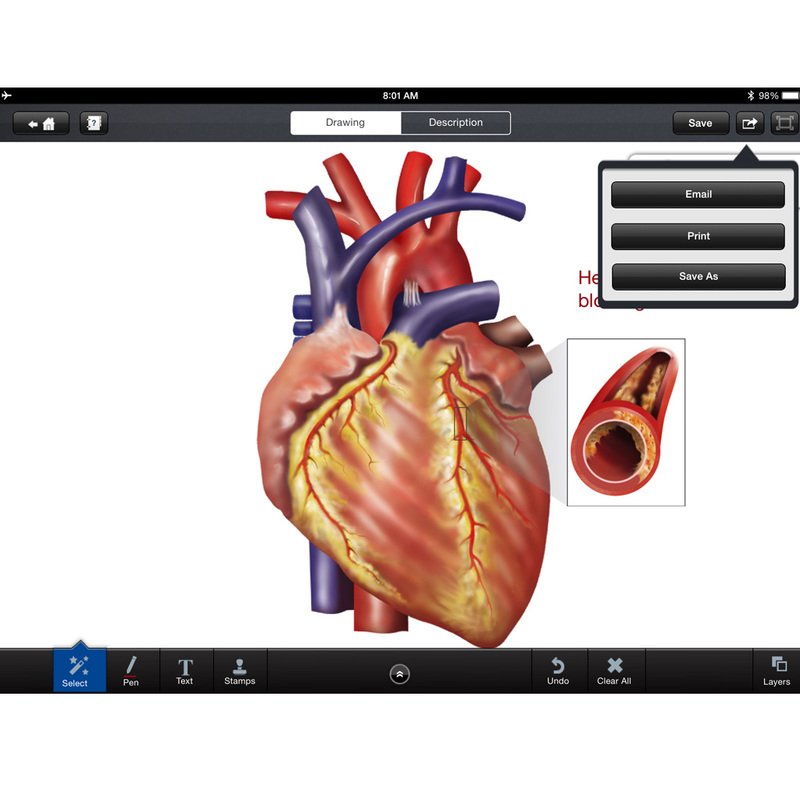 This is why two doctors invented the drawnMD app so that it could be an additional tool available to clinicians when meeting with their patients. 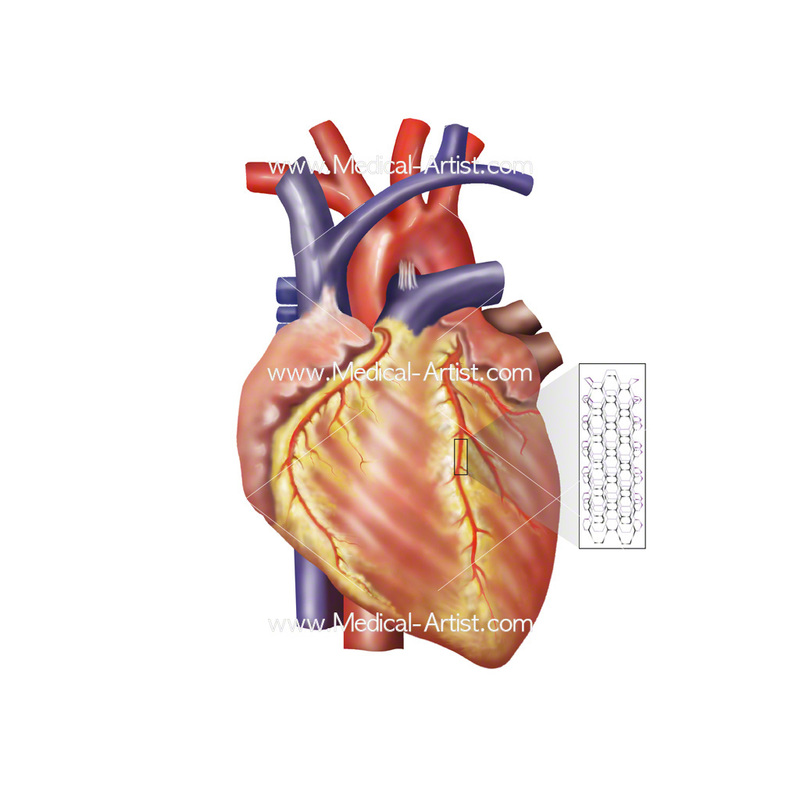 Using it as visual patient education through using medical illustrations with the facility to be able to draw and annotate on subjects relating to the heart, strokes and other cardiac conditions. Helping to aid in the patient communication of complex medical procedures and conditions. 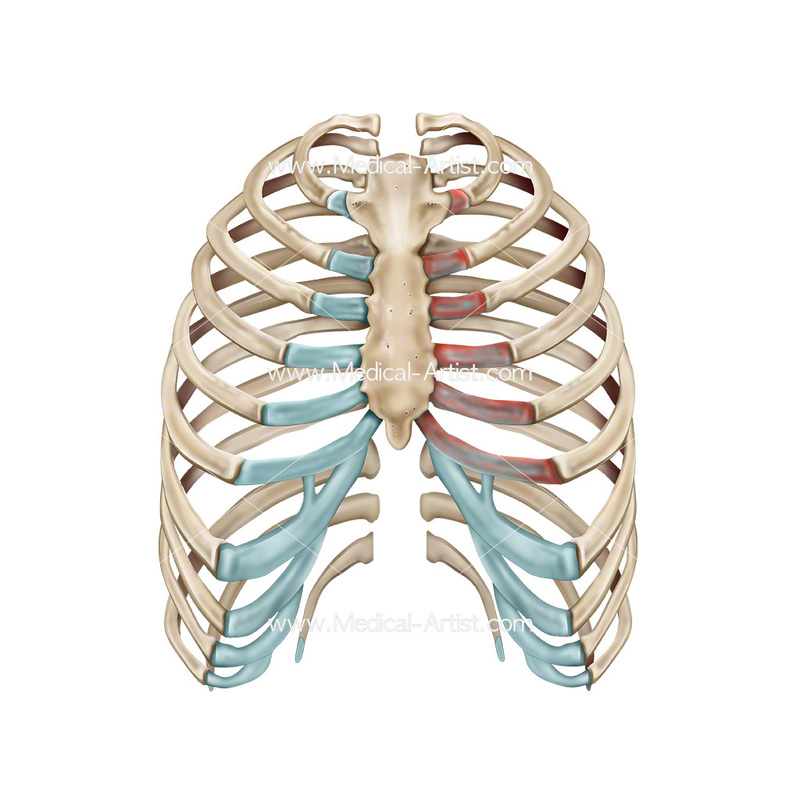 We were commissioned by drawMD over a three year period producing anatomical medical illustrations for a range of their apps, Joanna was a featured medical artist and we enjoyed a long and collaborative relationship. 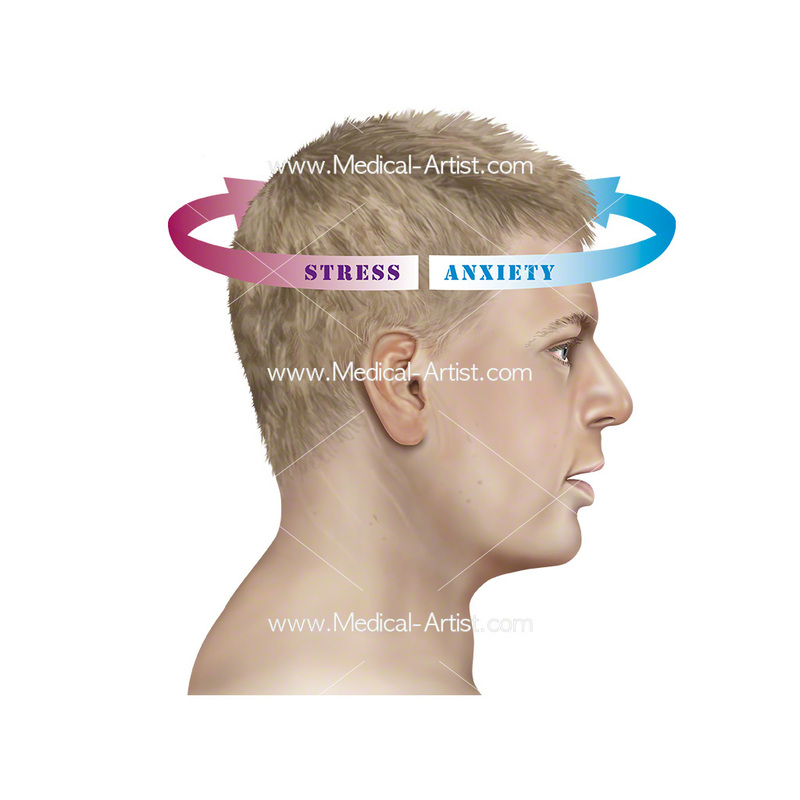 Joanna and the Medical-Artist.com team worked with the DrawMD team for a number of years providing the illustrations to form the visual foundations for each of the apps. 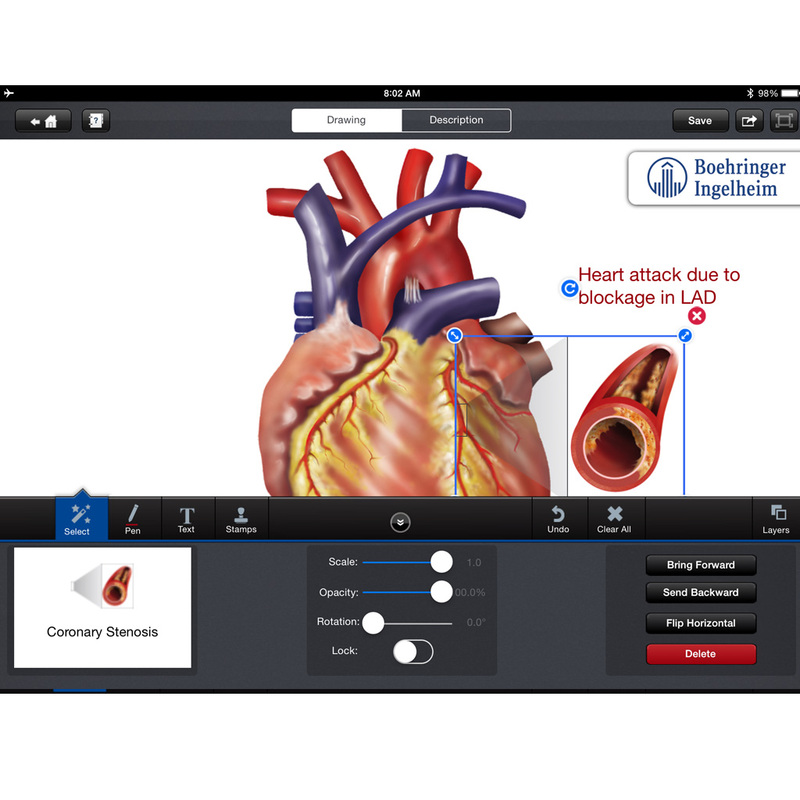 As well as this cardiology app we covered Pediatrics, Vascular, Stroke, Ophthalmology, Pulmonary, Orthopedics, Anesthesia, Thoracic surgery. 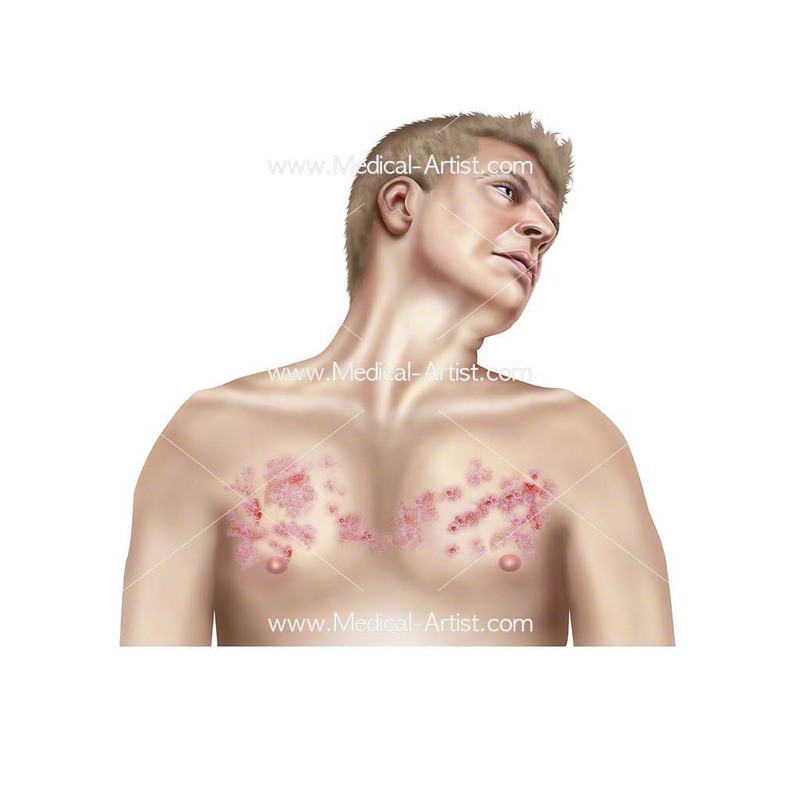 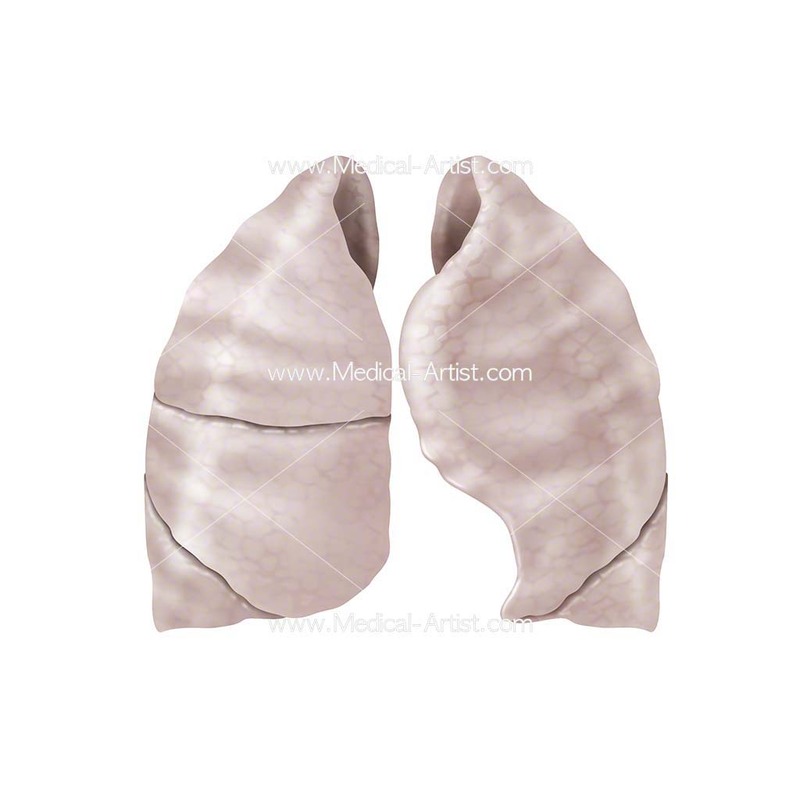 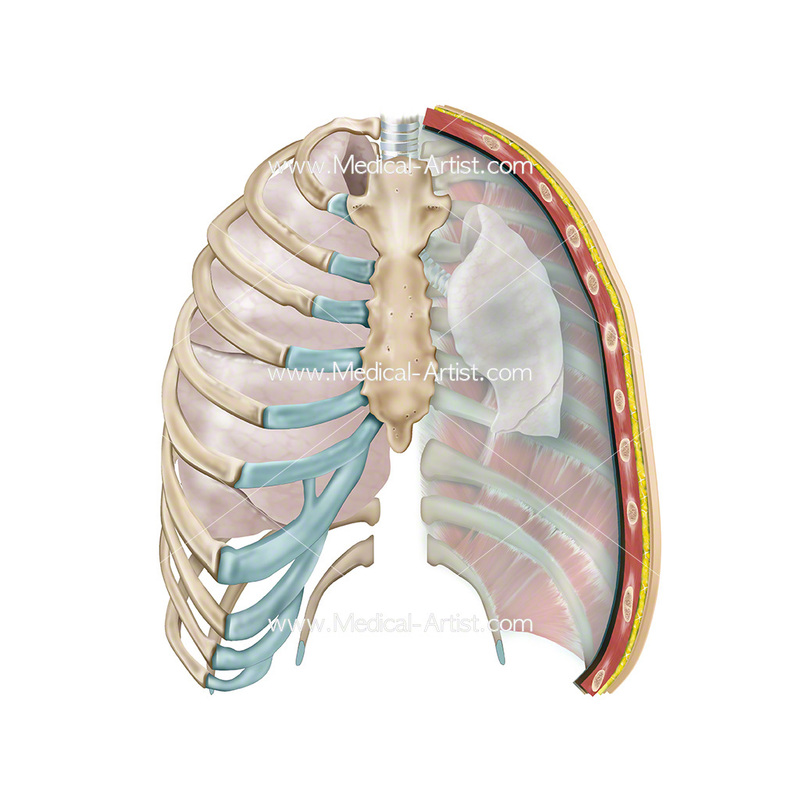 The medical illustrations needed to be very high quality to allow the users to zoom in to anatomical detail. 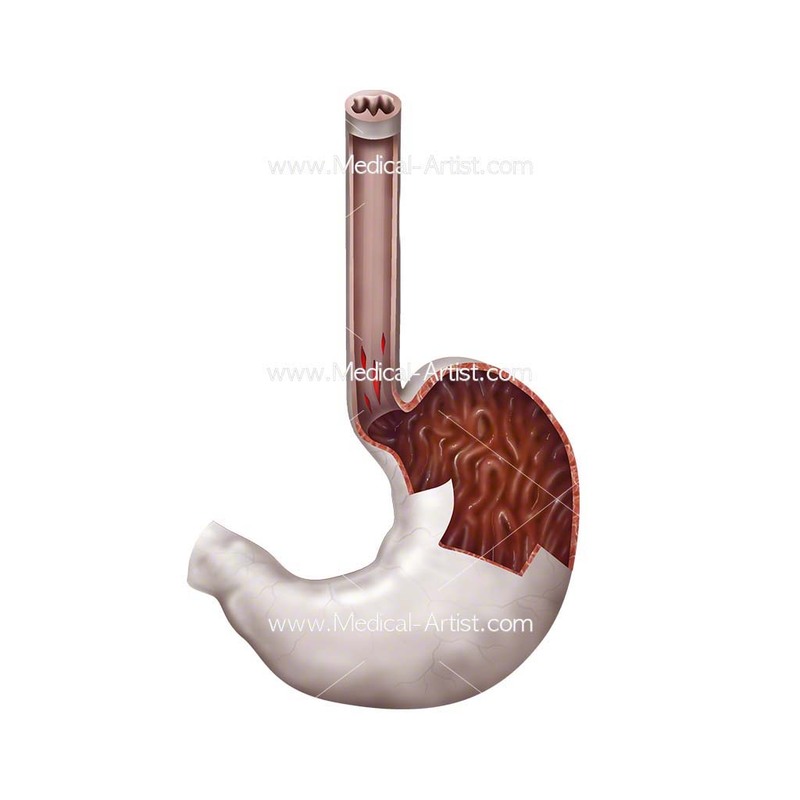 At the same time very accurate so that the anatomy is easy to see and the patient can understand what the clinician is showing them. 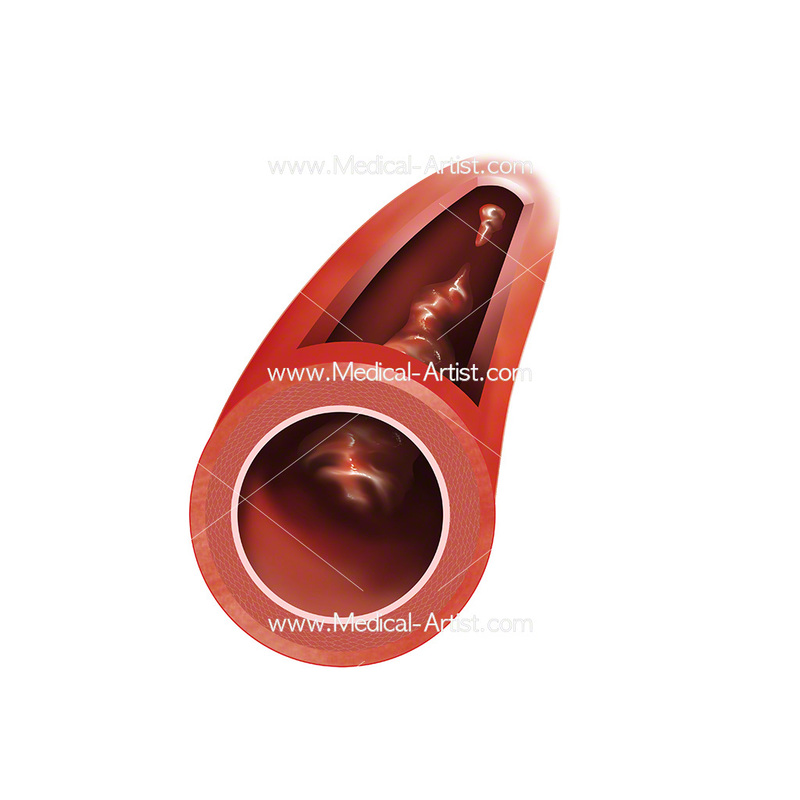 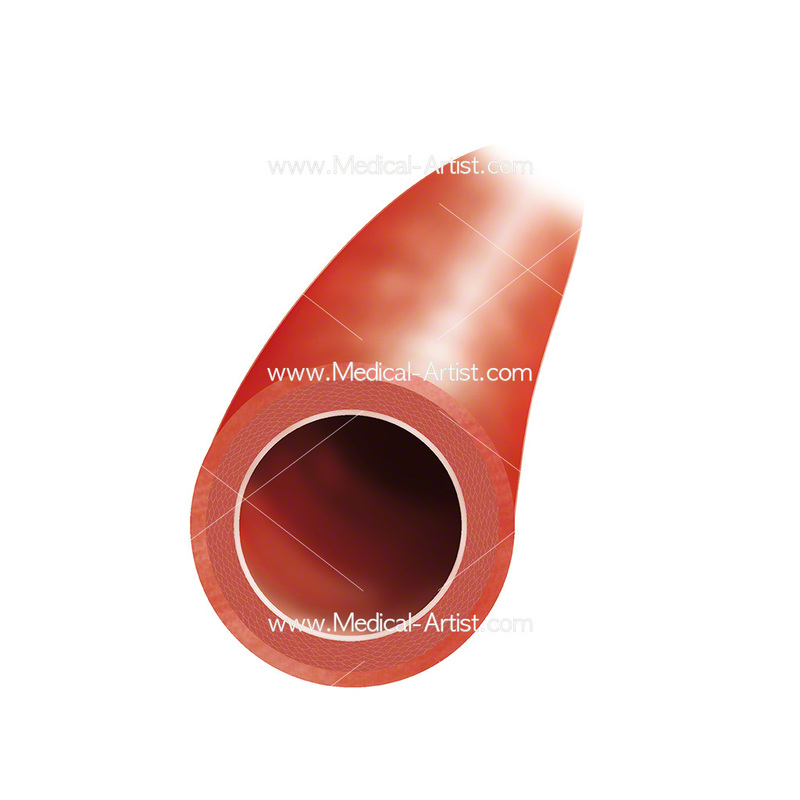 We provided a wide range of background images and also smaller, ‘stamp’ images which are of elements such as surgical implants and medical devices allowing the clinician to quickly select these and add them to a specific point on the image.